Oh, who am I kidding! 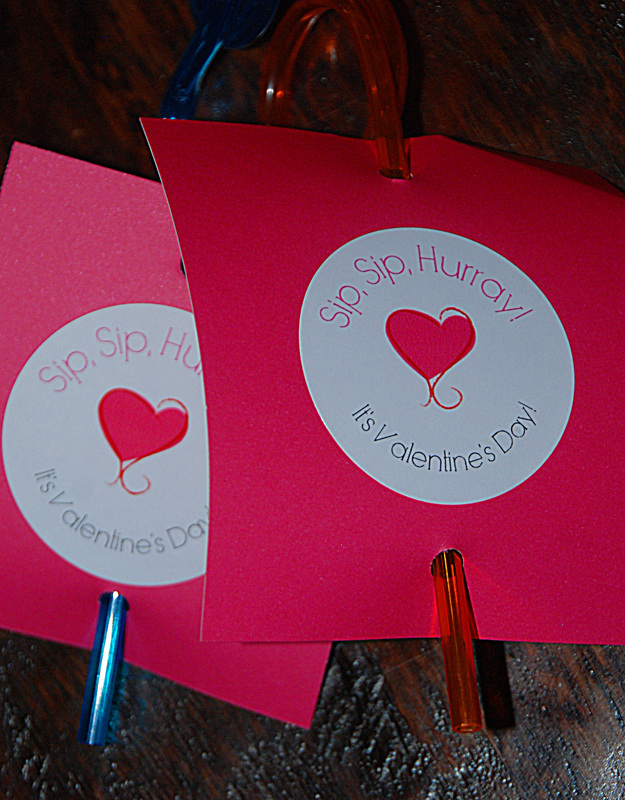 I love making those homemade cards with the kids, all 80 of them (cards that is). This year we mostly took the easy route, mainly because I started preparing wayyyyyyyy too late. I started preparing today. 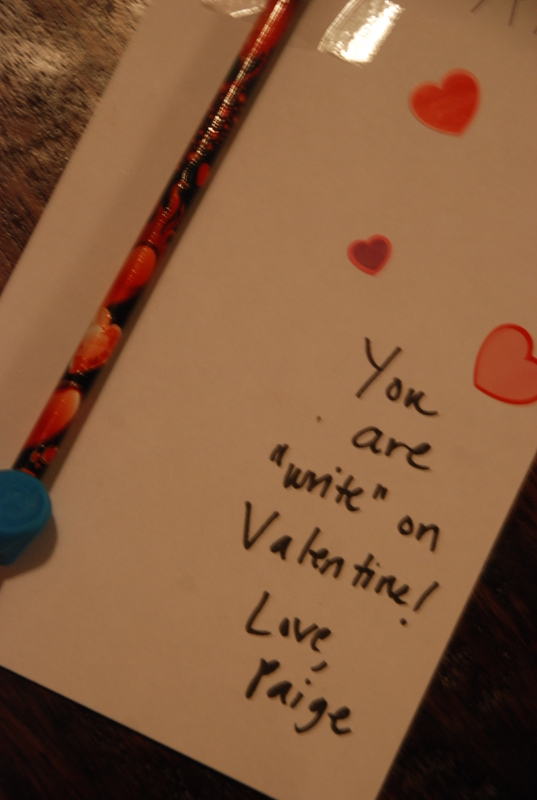 So, here are the “love” notes we came up with this year. Despite my lack of planning or forethought, I think they turned out pretty well. Sam wanted something funny this year. He is totally not into passing out cards so this was a fun route to take with a fifth grader. We took Alice’s version from last year and tweeked it. Alice was on the fence until 2 seconds before she walked out the door this morning. I gave her a few suggestions and this in the one she finally chose. They were super easy and turned out really cute. Another great thing, twisty straws are super cheap. Paigie knew what she wanted on her Valentine’s Day cards like a month ago. Pencil grippers. Pencil grippers?!?!?!? How do I make that into a clever, crafty card? Well, after a bit of Pinteresting, I found a perfect saying to go with a pencil and gripper. She was thrilled. Last but definitely not least (actually we made his first while the other kids were finishing up homework) is Mason. Mason’s Valentines were the easiest by far. Bubbles. Print off the labels, add names and adhere sticker. That is my kinda crafty. So there you have it. 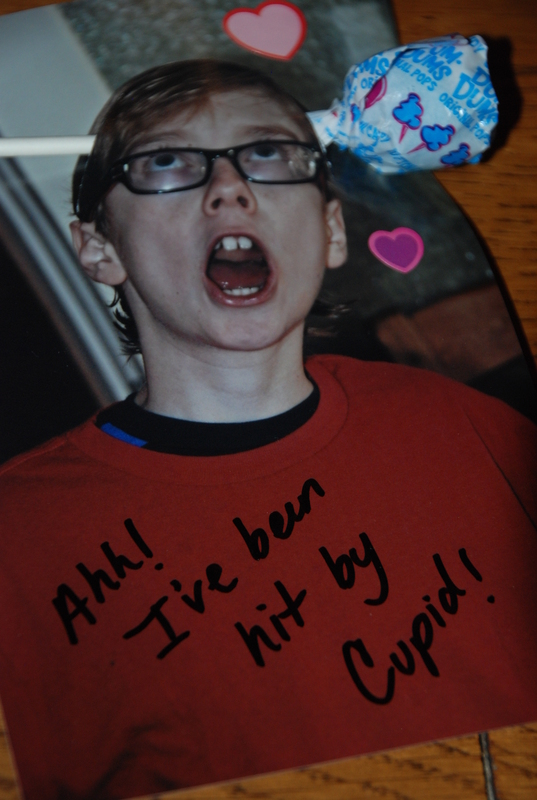 Valentine’s Day 2013, look out! Again, I really must give all the credit to Pinterest. There are so many great ideas, just waiting to be found. One last thing that I have to add. Our elementary school does not have Valentine’s Day parties. They invite the parents to lunch, pass out their cards, watch a movie and go on about their day. I like it. A lot. Happy Valentine’s Day to you and yours. May you receive piles of chocolate and may you eat every last morsel.